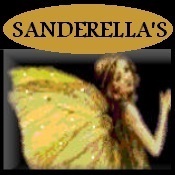 Sanderella's has moved to her website www.sanderellas.com it is up and ready with beautifully handmade items at unheard of pricing. Christmas is on its way! Sanderellas doesn't have any items in their booth!